The remnant pulse of the system which had crossed the east coast, has now spread its clouding as far north as Maharashtra. North Maharashtra had some rain today due to this, with Mumbai getting light rain with thunder, though this rain was anticipated in my blog around the 28th. /29th. 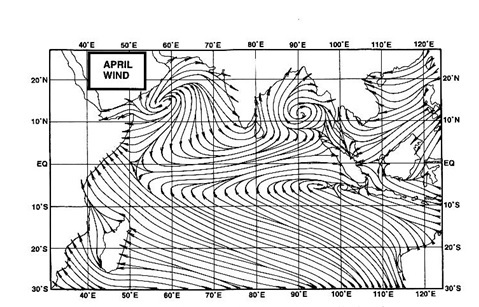 The vertical wind vortex (Low pulse) is now over South Maharashtra. It is expected that this will be over Goa tomorrow(Friday), before vanishing. Hence some more rain over Goa and South Konkan on Friday. Mumbai may get light rain for one more day on Friday too. "No rain "period should continue in the southern states till 7th./8th., as no formations are seen till then. The remnant from the system which crossed Vietnam yesterday, should form the new low by the 7th./8th. In Pakistan, the night temperatures have started falling from the last 2 days. Islamabad had 8 c and Skardu in Kashmir -4 c. Places in Sindh have recorded night temperatures between 11 c- 13c. Hence, one can expect, in the current week, that temperatures in Punjab (India), Haryana and Delhi can go down to 12c. Srinagar should record its first below zero minimum this week.Simla can expect around 4-5c, and Manali 2-3c this week.